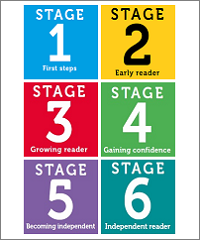 Read with Oxford Stage 1 is for children who are ready to start learning to read. They will enjoy listening to stories and will be beginning to recognise letter sounds and read simple words. 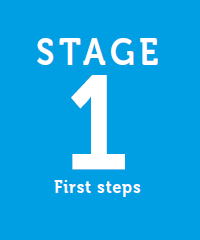 If you're not sure that your child is ready for Stage 1, try our simple test. 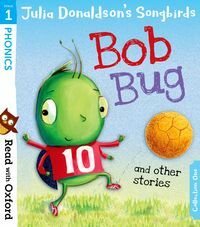 This collection contains two phonics books and three stories for wider reading. There are tips for parents and fun activities throughout the book for you and your child to enjoy together. 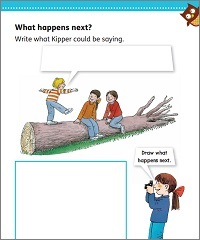 Play a game of 'I Spy' with Kipper, join in with the family's silly races and find out what happens on a trip to the seaside! 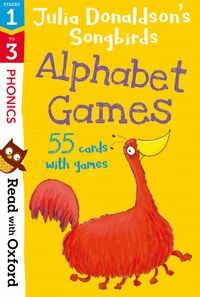 This collection contains two phonics books and three stories for wider reading. There are tips for parents and fun activities throughout the book for you and your child to enjoy together. Play a game of 'I Spy' with Biff, celebrate Dad's birthday and join the children as they dress up in funny costumes! 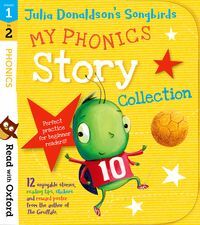 This collection contains two phonics books and three stories for wider reading. There are tips for parents and fun activities throughout the book for you and your child to enjoy together. 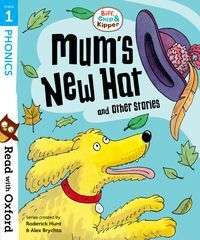 Enjoy funny rhymes with Kipper, watch Biff and Chip's magic show and find out what happens to Mum's new hat on a windy day! 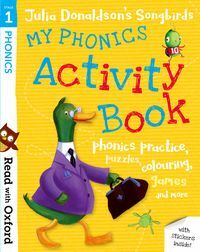 This collection contains two phonics books and three stories for wider reading. There are tips for parents and fun activities throughout the book for you and your child to enjoy together. 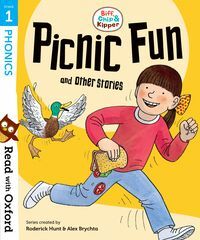 Play hide-and-seek with Kipper, make music with the family and find out what happens when a picnic in the country doesn't go to plan! 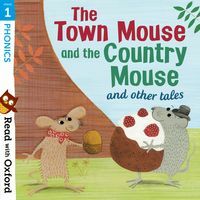 This beautifully-illustrated collection contains four well-loved traditional tales from around the world, with clear phonics progression to help children who are taking their first steps in reading. These captivating and engaging stories are retold so that children can read them for themselves. 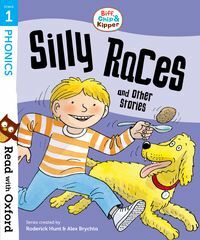 12 fun stories designed to build phonics skills. Discover what life is like being small with Bob Bug, find out if Top Cat becomes king of the garden and learn how to make tasty buns! Children learn best when reading is fun and these story games are a great way to practise reading and storytelling skills. 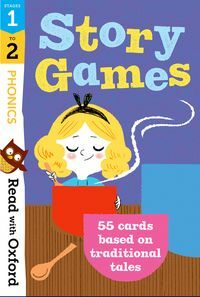 Carefully created to practise phonic sounds and letters, each game has concise, easy-to-follow instructions which require no preparation - just sit down with your child and have fun! These flashcards are a fun way for children to practise their letters and sounds at home - just as they do in school. 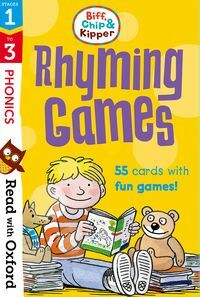 Four different rhyming games will help children to link groups of letters with their sounds, recognise rhyming words, develop memory and concentration skills and develop early reading and spelling skills. These flashcards are a fun way for children to learn the alphabet and recognise individual letter shapes and sounds at home - just as they do in school. 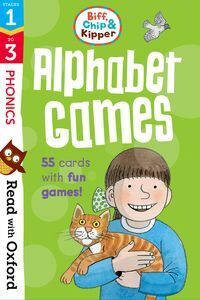 Four different alphabet games help children to develop recognition of letter shapes and sounds, develop memory and concentration skills and read and spell simple words. 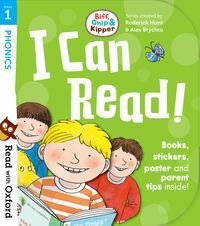 Created by reading experts and based on current teaching practice, these flashcards have been specially developed to complement how your child is starting to read at school. They will help children to learn and recognise individual letter shapes and words, read simple words and sentences and develop an awareness of rhyme. 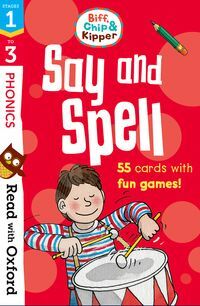 Created by reading experts and based on current teaching practice, these flashcards have been specially developed to build your child's reading skills and phonics knowledge. 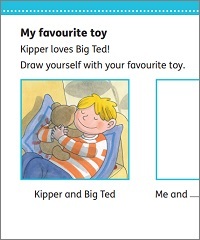 They will help children to recognise individual letter shapes and sounds, read simple words and spell simple words. 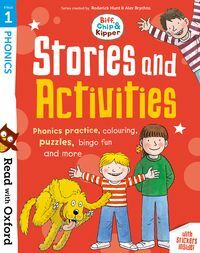 This book contains two Biff, Chip and Kipper stories in an appealing comic-strip format, as well as a wealth of fun activities that will help your child to practise sounds, letters and early reading skills at home. Find out who wins the big water fight and see what happens when Mum loses her bag! 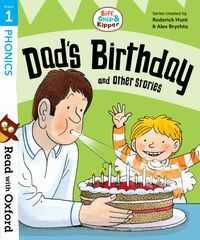 This book contains two Biff, Chip and Kipper stories in an appealing comic-strip format, as well as a wealth of fun activities that will help your child to practise sounds, letters and early reading skills at home. Find out who gets the blame when Mum is cross and watch the children catch a hen on the run! Join the Songbirds characters in these exciting phonics activities, ideal for children who are taking their first steps in reading. Featuring characters from Julia Donaldson's Songbirds stories, this activity book includes a variety of activities and stickers to provide a fun way to build phonics knowledge and reading confidence. 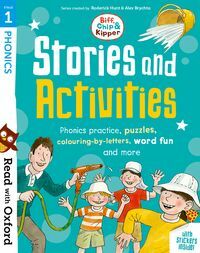 Packed full of fun activities, engaging stories and useful tips, this kit provides you with everything you need to celebrate your child's progress in reading and keep their interest in reading alive. Reward good work and build confidence with fun stickers and support learning with the handy tips for parents. 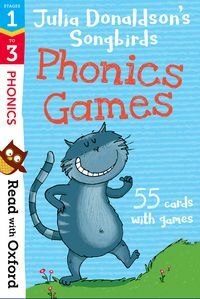 With a focus on building phonics skills, this collection contains 12 fun phonics stories to provide perfect practice for beginner readers. The kit also contains colourful stickers, and an alphabet chart to reward, motivate and build confidence. 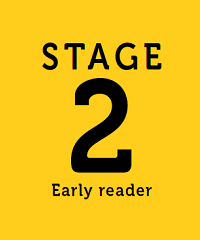 Ready for Read with Oxford Stage 2?